Everybody wants to be productive, right? Then why is it so hard to make it happen? 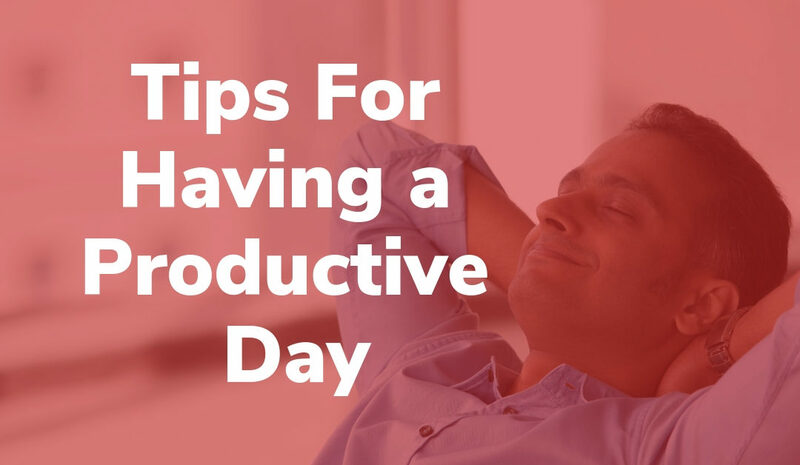 We put together some tips to help make your day, and general lifestyle, more productive! In today’s fast-paced world its easy for morning routine to become pretty low your priority list. However, having a morning routine can be critical to your productivity for a number of reasons. Simply the act of choosing to wake up (instead of hitting snooze over and over) will help make you more ready to take on your day. Take time to form habits like doing a crossword puzzle or doing a quick meditation. And believe it or not, breakfast is important! Don’t let yourself skip it! Developing a strong morning routine will go miles towards making your day more productive. You hear all the time that exercise is good for your health but it’s also essential for your productivity! Exercise releases endorphins that are vital for stress management and for helping think clearly. Whether its an hour or even just ten minutes, be sure you get in some exercise at some point in the day! This may sound daunting but its actually incredibly helpful for those trying to be more productive. It’s human nature to want to put off the tasks that require more brain power. Because of this, we tend to adopt an attitude of avoidance and procrastination. However, if you make it a point to knock out your most difficult tasks at the beginning of the day, it will free up crucial brain space so that you can accomplish your other daily tasks, stress-free! Don’t Forget Your Bedtime Routine! It’s easy to let your night time routine slip past you as you lay in bed scrolling through your phone. However, experts say that the 30 minutes leading up to bedtime are critical for your quality of sleep. Turn your phone off! Nothing negatively affects sleep like too much light. On top of that, cell phones emit what is called “blue light” and it’s especially harmful to your sleep. Instead of scrolling through social media, pick up a book! Reading before bed actually helps to tire your eyes and makes you go to sleep easier. Heres to New Productive Habits! We hope this blog has been helpful for you and your newly found productivity! Habits tend to take some time to form, so be really intentional about them! From the workplace to your hobbies, stronger productivity will help you in just about every area of your life. And head to our website for more info on how Hughes can help you!